Will they remember me when I’m a popsicle? 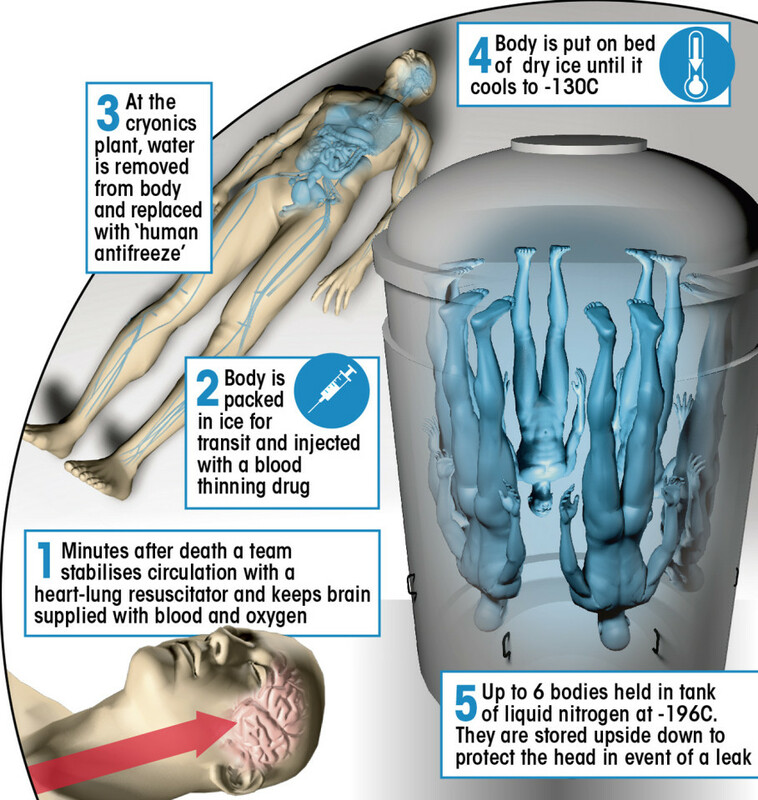 Scientists have made a major breakthrough in cryogenically freezing dead bodies for revival in the distant future. 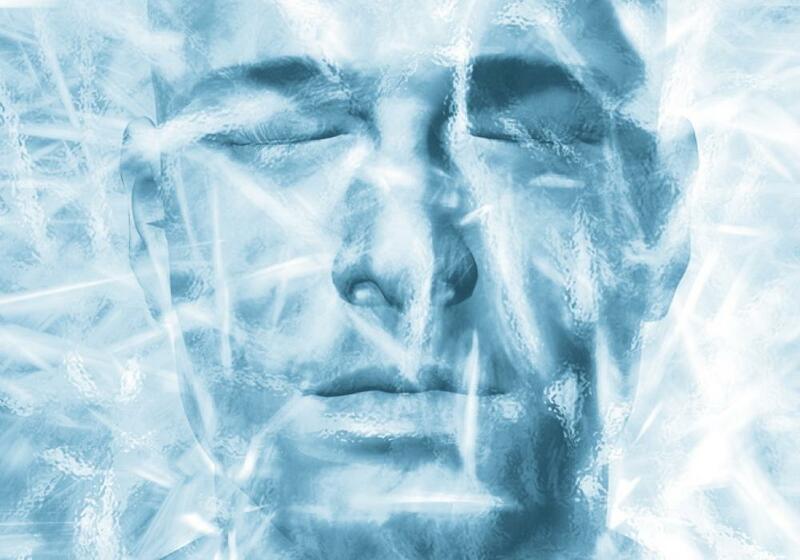 The idea is to preserve a person in a state of suspended animation at sub-zero temperatures. My New Old Self is not convinced about this effort at immortality. Firstly, this feat has only been achieved in fish embryos – not even with fellow mammals like lab rats. Researchers claim to have pioneered a new anti-freeze solution that improves a body’s eventual defrosting. Written up in the journal ACS Nano, this advance is due to a new kind of nanotechnology. There is no evidence that anyone who goes into the deep freeze will ever come out alive. The numerous physiological challenges to reversing cryopreservation are as yet insurmountable. Tissues and cells can be damaged when they try to unthaw you, to say nothing of getting your brain working properly again. The cryogenic experience is also blamed for causing trauma. Then there’s the issue of undoing the damage that led to one’s death in the first place. Great hope is placed in future medical advances. Another obstacle to this attempt at eternal life is cost. 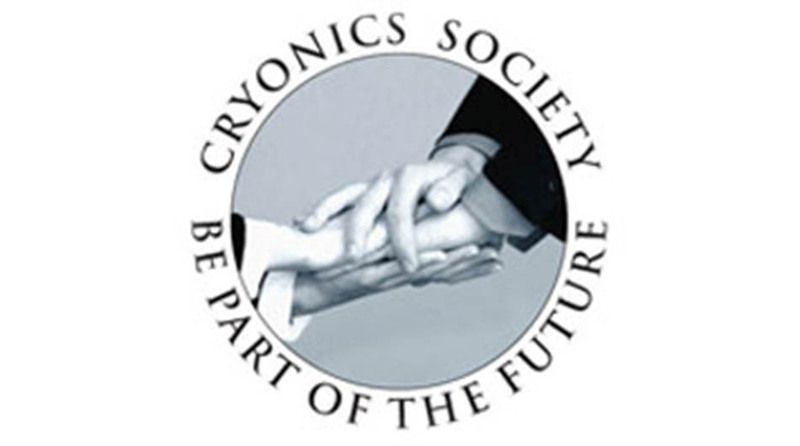 Annual membership fees for cryogenic clubs are pretty steep. The California Procedure seems to be the premium cryogenic option, and will set you back a cool $155,000. There are two other payment plans costing less than six figures, but these depend on your support for a Research and Reanimation Fund. It sounds like it’s up to the customers to keep up the funding until science figures out how to defrost you sans freezer burn. I’m wondering if any kind of guarantee is offered. Yet even if you were covered by consumer protection laws, there is still a potential problem. Who says that any of these cryo-companies will still be around when it’s time for you to be thawed out? It is not unthinkable that in the years since your body turned blue they could have closed down. It is not clear what kind of business model would keep them in profit for decades, if not centuries. Also, who would be around to wave a guarantee and collect a refund? There is yet another reason why I do not plan to join any cryoclubs. I worry about who will remember to unfreeze me. 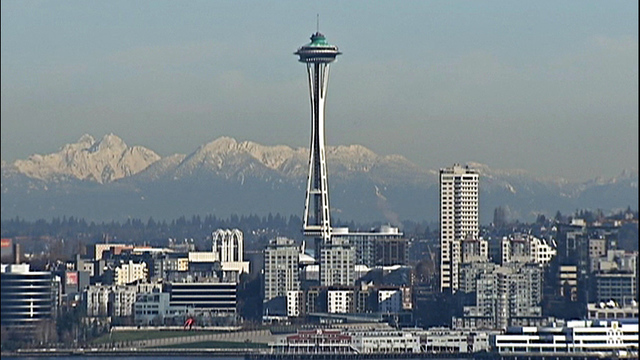 My concern was heightened by recent reports about a time capsule that was ceremoniously placed in that iconic building in Seattle, Washington, the Space Needle, back in 1982. Time capsules are supposed to be a way of preserving popular culture from the past for the citizens of the future. The plan was to open this particular capsule 20 years later. However, the deadline was missed. What’s worse, it wasn’t until this year that the oversight was even noted. And that was only because of building renovations. 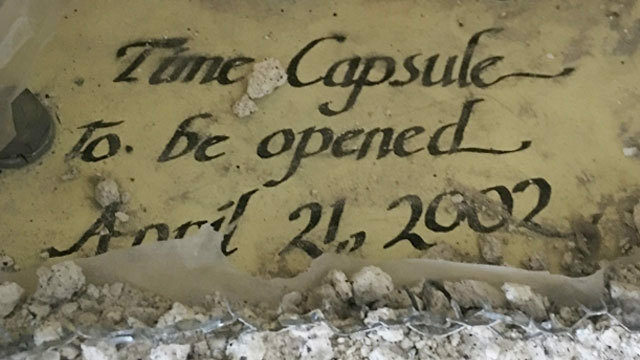 Which finally reminded everyone that the time capsule was still in there, 15 years past its planned recovery date. I find this disconcerting. Even more so when I learned that this fail was no fluke, but a fairly common occurrence with time capsules. This shows the devaluation of the notion of putting objects into time capsules. Mainly because the internet allows us to easily view images of items from long ago, from fashion to media. I believe this incident demonstrates something else too: a memory problem. Not just among us of a certain age, but among the general public. The International Time Capsule Society concedes that most time capsules are “lost due to thievery, secrecy or poor planning”. Their advice is to schedule an email years hence to remind you to open it. Is there an app for reminders that extend decades into the future? If so, set one for 1 March 2023. That’s when a South African time capsule is set to be opened. It was buried at Pretoria’s Megawatt Park by a crowd that isn’t currently noted for impressive management skills, the Electricity Supply Commission. So ESKOM may need some reminding when it comes time to dig up their time capsule. Although who knows if they’ll still be supplying power in five years’ time. Cryogenics just to wake up in the future is wasteful and weird.